The Red Sox improved to 3-8 on Sunday afternoon following a 1-0 win over the Arizona Diamondbacks. Somehow, that news is very encouraging as the club makes the trek back to Boston. Wrapping up their 11-game west coast road trip to start the 2019 season, it was more of a bullpen day pitching-wise for the Sox, with Hector Velazquez making his first start of the year in this one. Having already appeared in three games as a reliever before Sunday, the right-hander really impressed in a short sample size in the desert. Tossing three full innings, Velazquez held Arizona scoreless while yielding just one hit and zero walks to go along with three strikeouts on the evening. Pitching at Chase Field for the first time in this three-year career, the 30-year-old hurler sat down nine of the 10 hitters he faced and finished with a final pitch count of 39, 26 of which went for strikes. Unable to pick up the winning decision due to the number of innings he pitched, Velazquez is still the first Red Sox starter to not give up at least one run 11 games into the 2019 season. 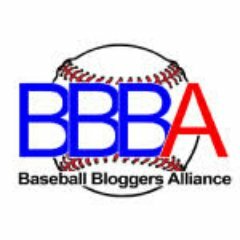 In relief of Velazquez, the Red Sox bullpen was almost equally impressive, as Brandon Workman, Marcus Walden, Matt Barnes, and Ryan Brasier combined to work six innings of shutout ball, giving up just one walk and two hits in the process. Workman, who was responsible for the fourth, retired all three hitters he faced while fanning one in a perfect frame of relief. He has yet to give up a run through five appearances out of the ‘pen so far. Walden, meanwhile, made his first relief outing since being recalled from Triple-A Pawtucket on Saturday. He, like Matt Barnes, pitched two scoreless innings, which made sense given the circumstances of why he was called up in the first place: to provide the bullpen with a fresh arm. Walden was also credit with his first winning decision of the season. Going back to Barnes, the UCONN product made his first appearance since Wednesday in this one, and he collected a pair of punch outs over two perfect innings while featuring a four-seamer that topped out at 97.2 MPH en route to the hold. And finally, Brasier, pitching for the second straight day, worked his way around a two-out double from David Peralta to notch his second career save. On the other side of things, the Red Sox lineup was matched up against Diamondbacks rookie right-hander Merrill Kelly, who had never faced Boston before in his career, as you may have guessed. Surprisingly, the 30-year-old Kelly held his own in his second career big league start, limiting the Red Sox to just four hits over eight innings. As a matter of fact, it wasn’t until the top half of the seventh when Boston’s bats finally got going a little bit. Entering the inning already 0-for-2 against Kelly, Mitch Moreland came through in the clutch for the Red Sox yet again, leading off the seventh by blasting the first pitch he saw that barely landed out of Adam Jones’ reach in right field. Still, a home run is a home run, and Moreland’s third of the young season gave the Sox the only lead they would need to secure their third win of the year in this one. This is the first time in the DH era that multiple Red Sox relief pitchers have had a plate appearance in the same game (Walden and Barnes). The Sox had not done that since May 26, 1972 vs. Milwaukee. JD Martinez’s 10-game hitting streak may have came to a close following an 0-for-3 day at the plate on Sunday, but an intentional walk in the ninth inning means the Red Sox slugger has now reached base in 11 straight contests to start the new season. Outside of that ninth inning double given up by Brasier, the Red Sox pitching staff only gave up one extra-base hit to the D-backs on Sunday. Next up for the Sox, it’s a well-deserved off day back in Boston on Monday following 11 straight on the road before the home opener on Tuesday. 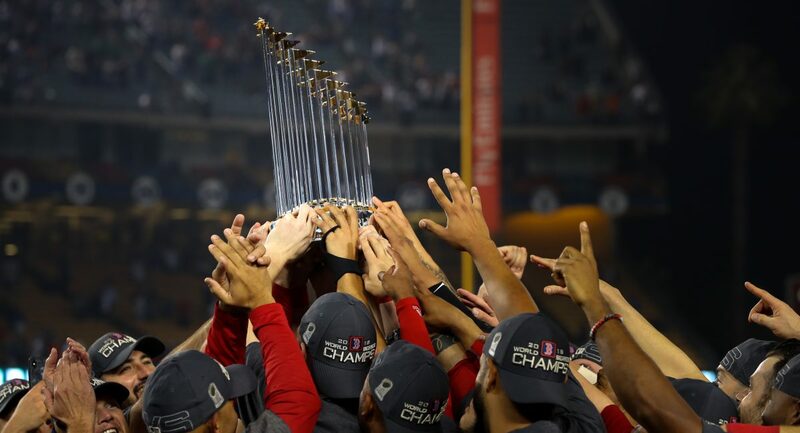 At 3-8, things could certainly be better, but with six games at Fenway Park over the next eight days, this club has the chance to show that they still should be taken seriously as defending World Series champions. Ace left-hander Chris Sale will get the ball for Boston on Tuesday, while the visiting Toronto Blue Jays, now under new manager Charlie Montoyo, will go with former Los Angeles Angel Matt Shoemaker. First pitch Tuesday is scheduled for 2:05 PM EDT with plenty of pregame festivities with plenty of special guests set to take place beforehand.